Check Out the new Client Portal! We're excited to release the new Client Portal in open beta! Here's how to get started quickly and learn more about what it can do, and what comes next! Before I tell you all the goodies, I need to tell you a few things about the past. 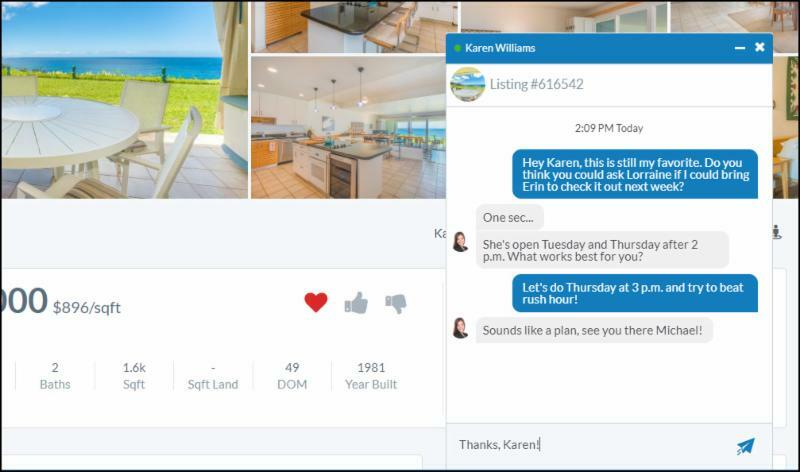 Until today, if you signed up with our local MLS service for listing updates, you would receive an email on a property that was within your search criteria, all good, you knew it was instant and accurate, but the problem was, it was just a static sheet, you couldn’t save them, “favorite" them, thumbs up/down, delete or even leave a note on that listing about why you liked it, or disliked it. Ahh, but here is what many of you didn’t know, that feed you are getting from the big box guys, is not always up to date, and/or accurate. Without getting to technical and deep into this, the reality is that our MLS (H.I.S.) is one of just a few in the nation that are locally developed and not part of the top 3 platforms. So what happens is, data does not always transfer over timely and/or accurately to the big boys, and to them, its just not worth their time and effort to develop "one off" software that is compatible with our tiny MLS system - "close" is just going to have be good enough! How many times did you get a notification on a property that fit your needs perfectly, only to call your Realtor here and find out there is already multiple offers in on it? Why? Because details get lost in the data transfer. That all changed today! We have this new BETA program that allows you to do what all the big box guys do, add favorites, thumbs up/down, message, save, delete, leave notes - you have your very own portal and you can rest assured that the data is INSTANT and ACCURATE. A little background on me: I head up the MLS Task Force for the "West Hawaii Association of Realtors" (I am also the 2018 President for West Hawaii Association of Realtors) so this has been a passion of mine for the past 4 years. See more below, since this is not out in the public version yet , the information below was written to address the members of our MLS, but I wanted you to see, what I see, until they have a public announcement. We think you'll love how the portal works and looks, but there is a lot more under the hood! We've only scratched the surface so far. As the Client Portal beta continues, we'll be expanding and updating these guides, including video tutorials! We designed the Client Portal to give you yet another way to serve your clients, inspired by suggestions from members, guided by a ton of research into the best tools available in the market, and refined with the generous help of a select group of practitioners who participated in a portal pilot program leading up to today's release. We're thrilled to be launching the Client Portal in beta, putting this new tool directly in the hands of all of our members. During this beta period, your feedback is critical! We are eager to learn through real-world use how well this new tool supports your important work, and how we can make it even better. We will be working continuously to improve this agent tool over the next few months, driven by your real-world use and honest feedback. And the Client Portal is only the first new tool built entirely upon our new tech infrastructure with the latest software frameworks. Stay tuned for more great news from HIS! Or do nothing and continue to get your information "close" to accurate.